Joe Pool Lake is a wonderful lake south of Dallas and Fort Worth, Texas surrounded by the cities of Mansfield, Cedar Hill, and Grand Prairie. This beautiful little lake has just over 7,000 surface acres. One of the most popular parks in Dallas-Fort Worth is on Joe Pool Lake. Cedar Hill State Park is a massive park that is great for fishing, camping, hiking, boating, and more. There are several other parks on the lake with camping and beaches and plenty of fun for everyone. 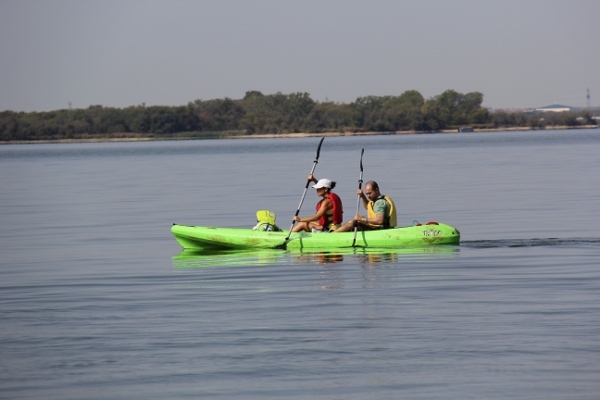 Exploring Joe Pool Lake can be a fun weekend getaway. 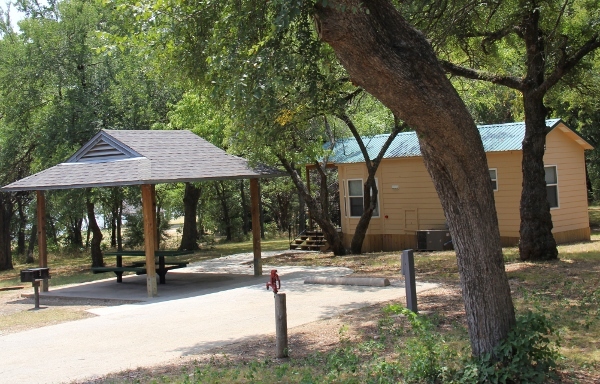 Renting a cabin is a great way to enjoy Joe Pool Lake. Below are the cabin rentals that we know of on this lake. Located in Loyd Park on Joe Pool Lake and operated by the city of Grand Prairie. These cabins are right on the lake inside of Loyd Park. There are one and two-bedroom floor plans available. 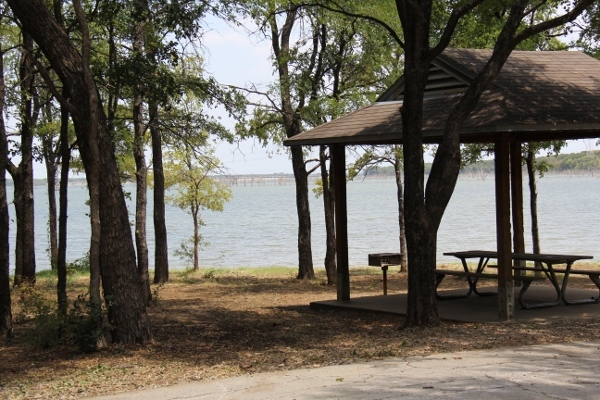 Joe Pool Lake is home to Cedar Hill State Park, Loyd Park, and Lynn Creek Park. You will find a massive amount of outdoor activities at these parks and around the lake. Some of the best hiking in DFW can be found at Joe Pool Lake.